Extra Credit Projects in Grand Rapids has produced a poster encouraging people to look back and reflect, ten years after the 9/11 attacks. The World Trade Center twin towers, absent from the skyline of New York, are still seen reflected in the water. 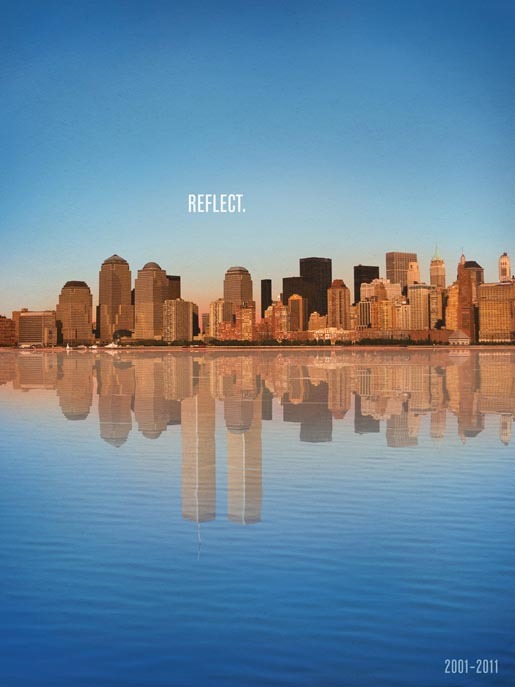 The Reflect ad was developed at Extra Credit Projects, Grand Rapids, by creative director Rob Jackson and art director Joshua Best.